The Island of Molokai, shimmering in the distance off Maui’s shores, is a world apart from Maui. Everything slows down on Molokai. It’s rural, rugged and full of friendly people who love to talk. Its large Hawaiian population and sparsely developed landscape call to mind an earlier Hawaii, a time when people lived off the land and sea and seldom left the shores of their homes. 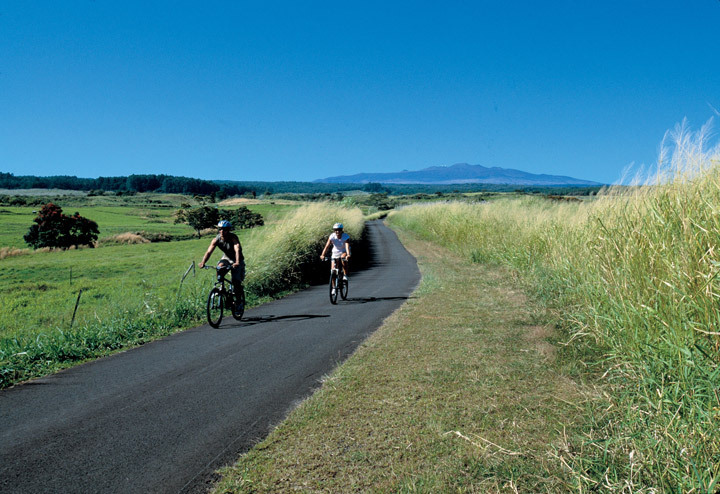 A day of biking on Molokai will be a true adventure!